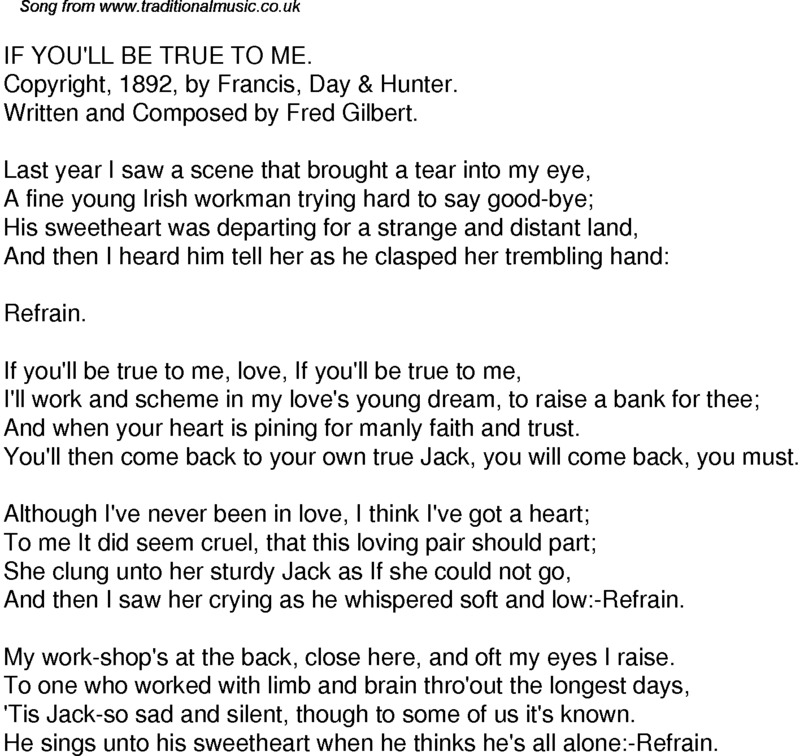 Written and Composed by Fred Gilbert. And when your heart is pining for manly faith and trust. You'll then come back to your own true Jack, you will come back, you must. And then I saw her crying as he whispered soft and low:-Refrain. My work-shop's at the back, close here, and oft my eyes I raise. 'Tis Jack-so sad and silent, though to some of us it's known. He sings unto his sweetheart when he thinks he's all alone:-Refrain.